from 0 degrees to 40 degrees, every 10 degrees. Plexiglass work surface and 5000K daylight lamps. Shipped without glass. Detailed instructions are included if glass is necessary. Fluorescent illumination. Height 37" from floor. Tilt angle 50 degrees from horizontal. Top height range 30" to 48". Complete with Tool and Shallow drawer units. 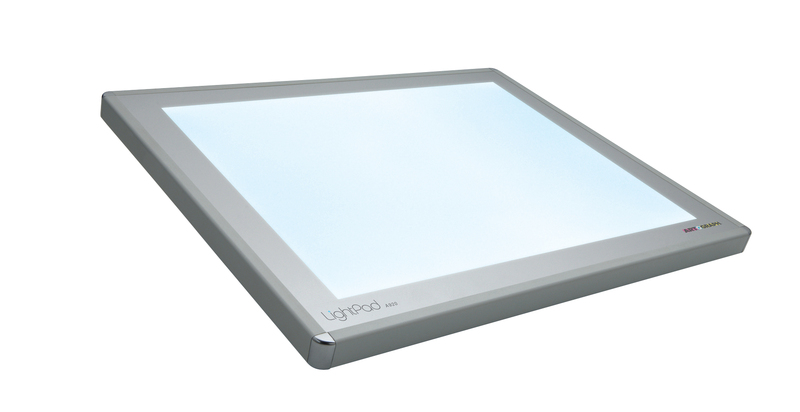 Newly designed lightboxes which virtually eliminate "hot spots"
Provides uniform light distribution over the entire viewing area. 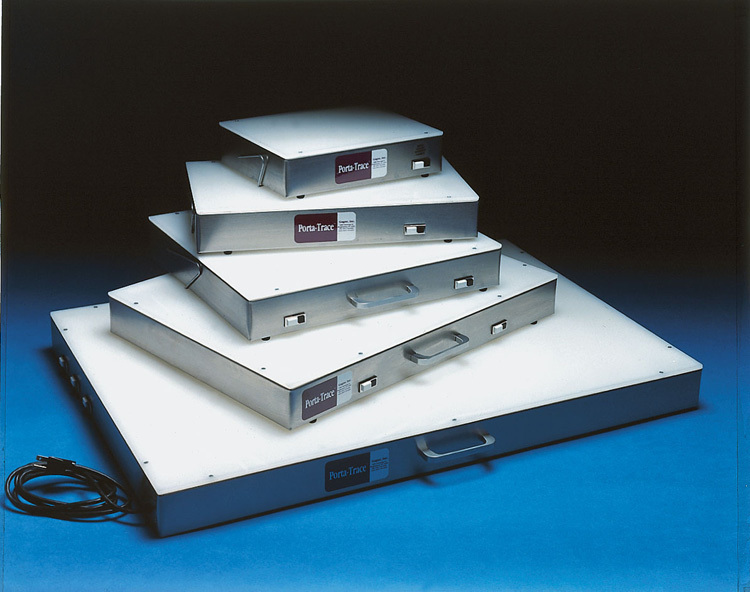 Sturdy stainless steel frame boxes are only 3" thick. 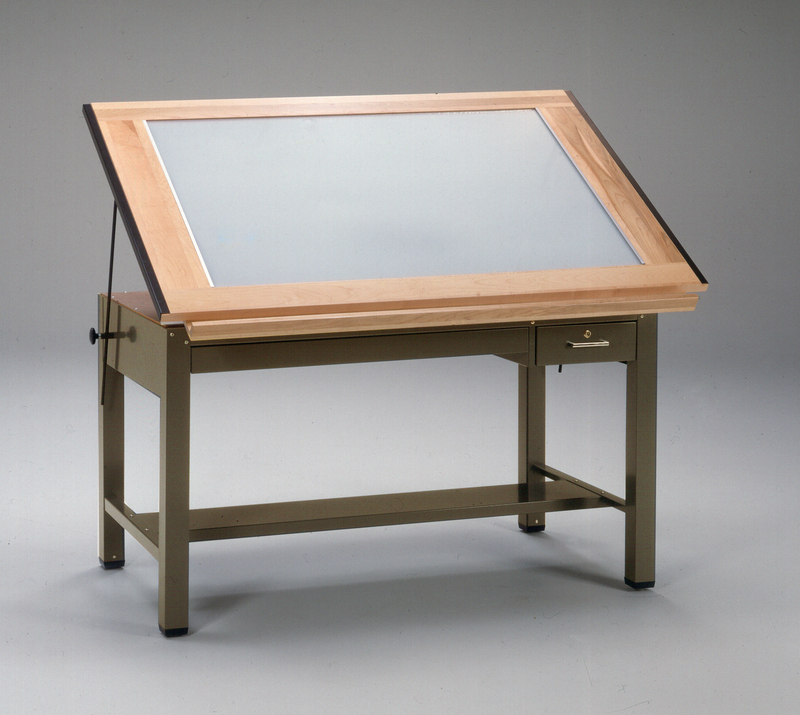 The 1/4" thick plexiglass top is mounted flush for unobstructed use of tee square or straightedge. UL listed cord and on/off switch. All purpose art and craft light boxes. 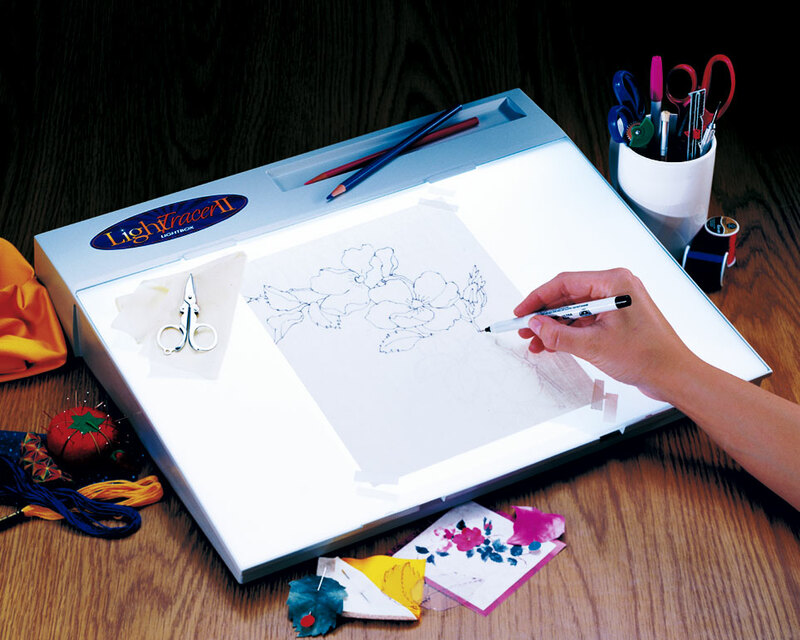 and easy way to back light patterns and designs for a variety of tracing applications. and a compact 5/8" profile. Super bright, maintenance-free LED lamps provide cool, even illumination. Illuminated surface is double layered for firmness. AC/DC adapter/100v–240v. Includes custom protective storage sleeve. 1-year warranty. steel ball-bearing rotating disk housed in a durable, extruded aluminum and steel frame. Features exclusive Disk-Brake technology. Maintenance-free LED illumination. Includes multi-voltage AC power adaptor (100V-240V/50/60 Hz)a protective storage sleeve, and protective support pads. 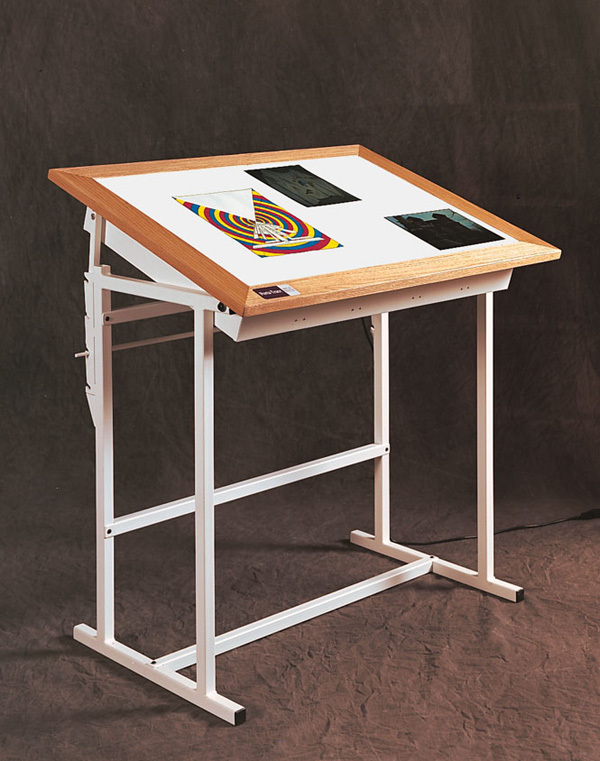 Use for drawing, tracing, designing, animating etc. One year limited warranty.